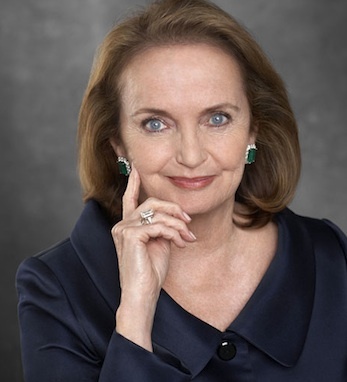 As the founder, with her late husband Lew, of Glucksman Ireland House, the center for Irish studies at New York University, Loretta Brennan Glucksman has been called “Ireland’s greatest advocate” in the United Sates. Education is at the forefront of Gluckman’s efforts, whether it’s through her chairmanship of The American Ireland Fund, her support of programs at University of Limerick and University College of Cork, or Glucksman Ireland House, where more than 400 students engage in Irish and Irish American studies on subjects of art, literature, history and language. She is also the co-founder of the Glucksman Chair of Irish and Scottish Studies at the University of Aberdeen, Scotland. In her early career, Brennan Glucksman was a producer for news and public affairs with PBS-TV where she won several journalistic and civic awards. She also gave lectures on English literature at several colleges. Brennan Glucksman is a third-generation Irish American who grew up in an Irish community of Allentown, Pennsylvania. Her maternal grandparents immigrated from Leitrim in Famine times. Her paternal grandparents hailed from Donegal. She owns a home in Cork, where she is a board member of the Glucksman Gallery in University College Cork. The school is just one of many that have awarded her an honorary doctorate, including the Royal College of Surgeons in Ireland, the Royal Hibernian Academy of Art, and the Royal Irish Academy of Arts and Sciences. Recently, Brennan Glucksman served as Ambassador to the 2011 Holyoke St. Patrick’s Day Parade.